These fun little fidgeters can be arranged and twisted in thousands of shapes. 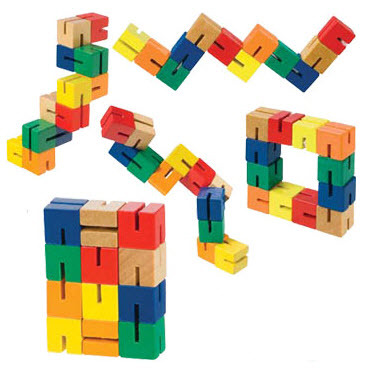 Twelve little colorful half-inch blocks are connected together by heavy-duty elasticized string. Great for big and little fingers alike! This colorful sensory toy is perfect for kids with autism and other special needs. Made by Toysmith. Small parts. Not for children under 3 years of age. These fun little fidgeters can be arranged and twisted in thousands of shapes. Twelve little colorful half-inch blocks are connected together by heavy-duty elasticized string. Great for big and little fingers alike! Made by Toysmith.